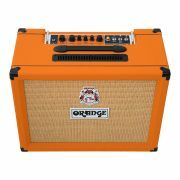 My name is Mary Spender, I play the Orange Rocker 32 and most recently, the Rocker 15 head with a 212 vertical cab. 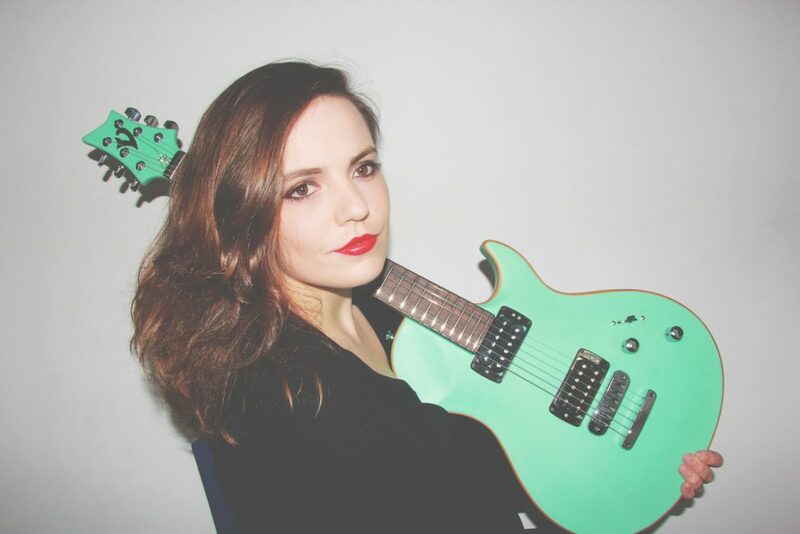 I started playing guitar when I was 12 because I saw some boys at school with a Squire and I was very envious because I was doing classical music! Although i was enjoying it – being in orchestras, playing the viola and singing, playing violin – I found it restrictive in some ways because I wanted to write songs. I was listening to pop music (if I can be honest) as my mum introduced me into things like Jodie Mitchell and I just wanted to sing and accompany myself so I played guitar. 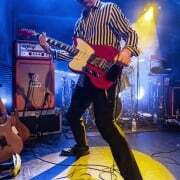 I started on electric and bought a Yamaha Pacifica 112 and it’s kinda just gone from there. I chose the Rocker 32 because of the stereo features but I’m totally guilty of not having stereo pedals right now! I also chose it because of the 3-band EQ on the dirty channel. Aside from the set-clean tone, it’s useful to change between the two channels for my style of playing. Orange was a strange choice for my style of music but then it’s very complimentary in the same way… it’s just cool having my Rocker 32 on stage. 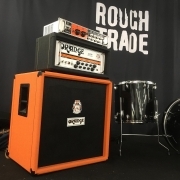 It was on stage for my UK tour most recently and everyone just said how good the tone sounded so I’ll take that as a compliment! My Vigier GV Rock in revolution green is my favourite guitar. It’s short-scale, I love it, it has a very slim neck and it’s just beautiful. I’m a singer/songwriter and I’d describe my musical style as intricate, slow guitar playing with a little chicken-picking… but not quite… there’s a mixture of influences such as Mark Knopfler… so that sort of style… but sort of failing at it… so I just came up with my own thing! The Rocker 15 Terror was released in January, so seeing the Rocker as a head (rather than a combo) was great… and to be honest, It’s all down to the bedroom/headroom switch. Being at home, you don’t want to annoy the neighbours… too much! Although I love the Rocker 32, especially those 2 stereo speakers, I just loved the idea of having a vertical cabinet and a head! I first saw the PPC212V at NAMM and Charlie (from Orange) actually told me it was lightweight. I tested it, and obviously carrying amps is bad for your back if they are too heavy. That’s why I chose the Rocker 32 rather than a cab and head before hand… but picking up the 15mm ply-wood vertical cab was better… it was so light. Now I just need to buy a bigger car! I have been following Mary Spender on You Tube for a while now. I absolute love her voice and playing style. She is one of the few master guitarists I follow for my own inspiration and playing. I own an Orange Crush 35rt and love it as well. Great video! I have a Rockerverb and 4 speaker orange cab, pain to get around but I love it.